In 2010 while attuning with a 1,000 year old Araucaria Tree in Brazil I had my first glimpse of a larger presence – something broader in its scope than the devic aspect of one species that I had become accustomed to. That first connection, although short, encouraged me to engage with something beyond what was already familiar to me. In 2011 while in a small section of the almost gone Mata Atlântica, (Atlantic coastal rainforest of Brazil) I encountered that broader presence again. This time I had a couple of days to simply be, and to listen, and so the contact deepened. Thus began a deep and powerful journey of engagement with what I came to call The Voice of the Forest. It is the story of that journey, and the messages of that voice that I wish to share with all of you. 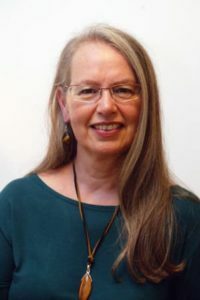 Judy McAllister is a Canadian who transplanted herself to Scotland after visiting the Findhorn Foundation where she has lived and worked for 4 decades. She offers seminars around the principles and practices of Co-Creative Spirituality and works extensively with The Game of Transformation. 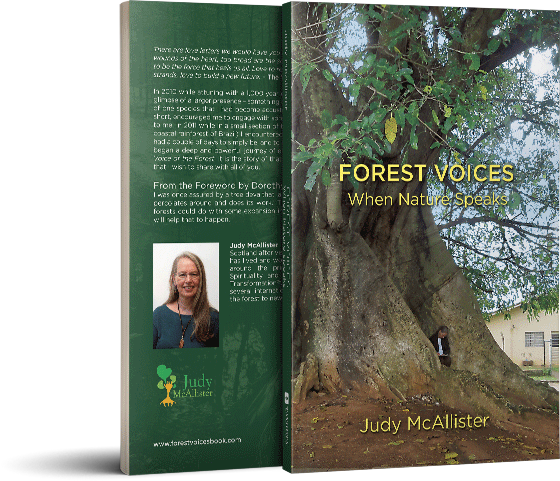 More recently she has been a speaker at several international events – delivering the message of the forest to new ears and hearts.